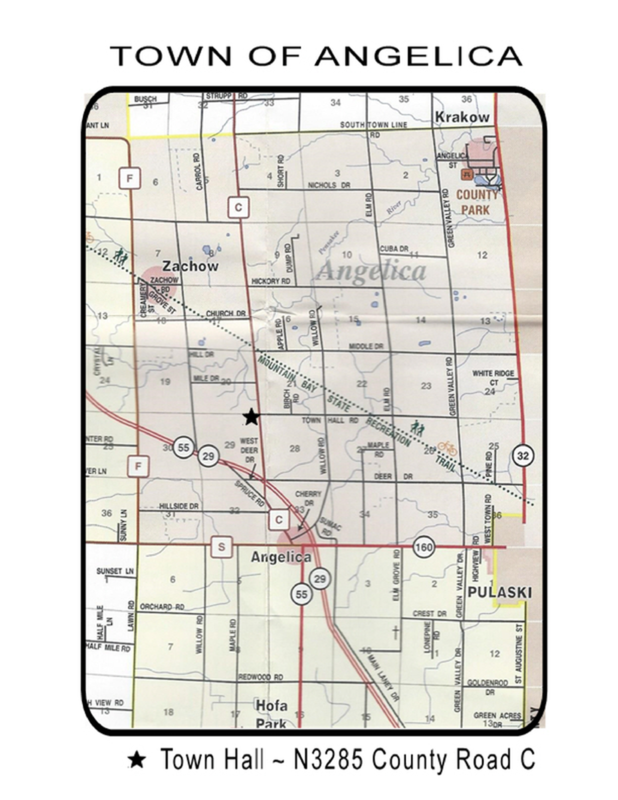 Angelica is a growing rural community in Shawano County, Wisconsin, located halfway between the cities of Green Bay and Shawano. with State Highway 29/55 running through the southwestern portion of the town. The Town of Angelica was established by the Shawano County Board of Supervisors on November 16, 1866. The town consists of 36 sections measuring one mile by one mile. The unincorporated hamlets of Angelica, Krakow and Zachow are located in the town. Total equalized valuation for 2015 is $124,971,000.00. There are 664 occupied household units in the town with a current estimated population of 1,812. The town maintains sixty plus miles of town roads.